In recognition of the brave men and women serving our nation, both overseas and on the home front, Bridgewater Township is proud to establish this wall of honor. If you or a loved one is currently serving in the United States Armed Forces, please contact us. CAPT Brogan graduated from Bridgewater Raritan High School in 1998 and from the United States Air Force Academy in 2002. He is an Acquisitions Officer currently assigned to the Space Based Infrared Systems Wing, at Buckley Air Force Base. 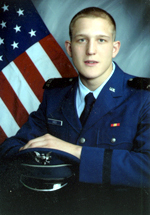 Cadet Ives graduated from Bridgewater Raritan Regional High School in 2007. He is currently a cadet at the United States Air Force Academy and is entering his second year. 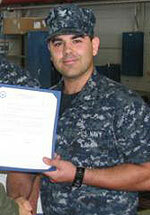 AMN Valero graduated from Bridgewater/Raritan High School in 2003. She enlisted in the Air Force in 2004 and is currently stationed in England with the 48th Medical Group Aeromedical Evacuation. 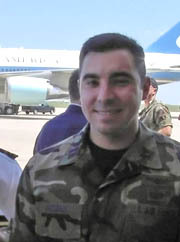 Major Andrew J. Aiello, III graduated from BRHS East in 1990. He is currently assigned to the Army Materiel Command as the Chief, Brigade Logistics Support Team for the 508th Parachute Infantry Brigade Combat Team and is prepared to deploy to Afghanistan in February 2012. Christel Sacco is a 2011 college graduate of Loyola University in Maryland and a 2007 high school graduate of Bridgewater-Raritan High School. She is a Captain US Army Civil Affairs. Christel served with the 4th Infantry Division in Afghanistan and Kuwait. 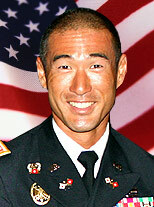 CPT Ben Choe is serving in the US Army. He graduated from Bridgewater-Raritan HS in 1992 and the University of Pennsylvania in 1996. He deployed in support of OIF in 2006-2007 and again in 2008-2009 with the 25th Infantry Division out of Schofield Barracks, HI. He is currently stationed at Fort Carson, CO with 10th Special Forces Group (Airborne). PFC Elias is a 2002 Bridgewater/Raritan High School graduate. He is currently attending the United States Army Intelligence School. 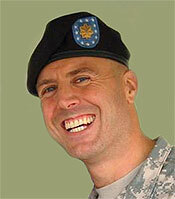 LTC Hauschild graduated from Bridgewater Raritan High School West in 1986. He attended the United States Military Academy at West Point and graduated in 1990. He is currently serving as the Professor of Military Sciences at Ohio University. LTC Kotulich graduated from Bridgewater/Raritan High School West in 1986 and from the United Sates Military Academy at West Point in 1990. She is currently assigned to the Army Reserve Element of the Defense Logistics Agency in Virginia. CAPT Matt McCarthy graduated from Bridgewater Raritan High School in 2002 and from The United States Military Academy at West Point in 2006. 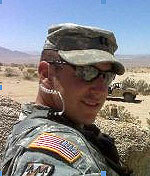 He served a tour of duty in Iraq in 2007-2008 and is currently deployed in southern Afghanistan with the 92nd Engineer Battalion out of Fort Stewart, Georgia. 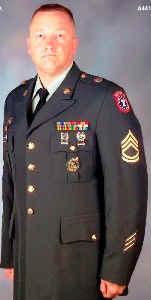 SFC Michael T. McFarland graduated from Bridgewater/Raritan High School in 1983. He enlisted in the Military Police Corps in 1984 and left active duty in 1987. 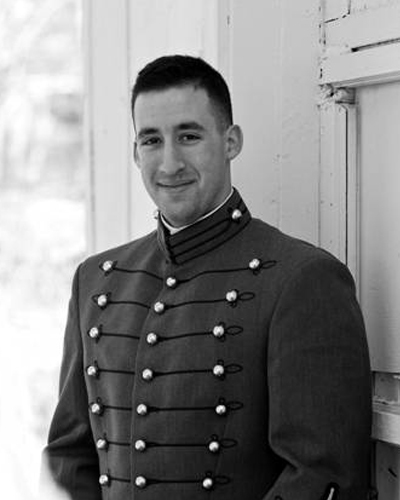 After graduating from Rutgers University , he enlisted in the Army Reserves. He is currently assigned to a military police training battalion stationed in Nashville, TN. Specialist Retired Robert Roof was attached to the 101st Airborne Division stationed in Iraq as an Infantryman. He is a purple heart recipient from his gunshot injury in Iraq in 2006 . He was born and raised in Alaska and is now a resident in Bridgewater NJ. 1st Lt. Todd Stawicki graduated from Bridgewater Raritan High School in 2002. He graduated the United States Military Academy in 2007. He is currently serving as an infantry officer in the 1st Infantry Division in Iraq. SPC Tischner gradated from Bridgewater/Raritan High School in 2002. He is currently assigned to a General Support Aviation Battalion stationed in Iraq. SPC Vail is an infantryman. He is currently attached to the 101st Airborne Division stationed in Iraq. 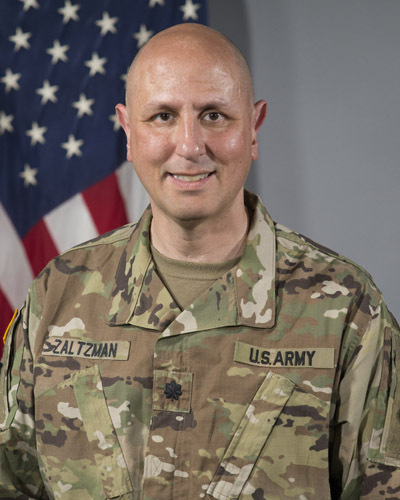 LTC Mario E. Zaltzman has lived in Bridgewater for 12 years. He is member of the Army Acquisition Corps and is currently assigned as a Product Manager with the Army Simulation, Training, and Instrumentation Program Executive Office. 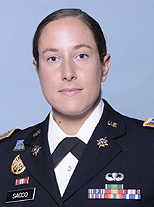 Cadet Landau is a home-school graduate and is currently a cadet at The United States Military Academy at West Point. He is in the class of 2020. He plans to branch Infantry. 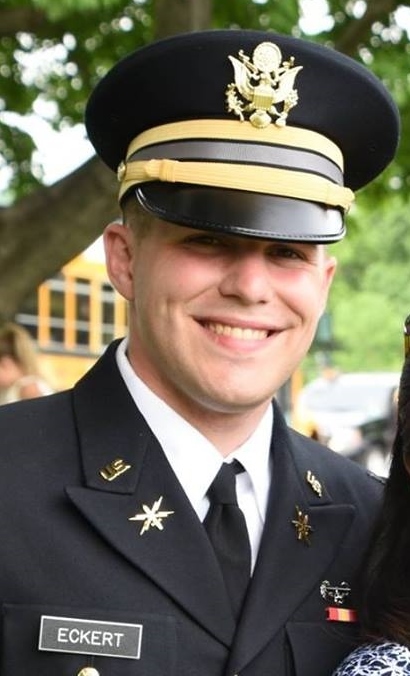 Second LT Eckert graduated from Bridgewater-Raritan High School in 2014 and from the United States Military Academy at West Point in 2018. He is an officer in the Cyber Branch and is posted at Fort Gordon, Georgia. 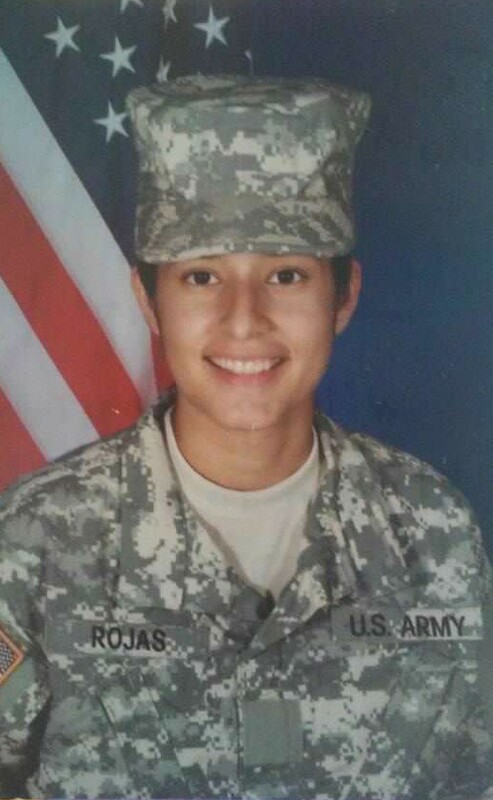 Specialist Rojas graduated from Bridgewater Raritan High School in 2015. She is presently attached to the 328th Military Police Co. in Cherry Hill, NJ as a 68W (Combat Medic/Health Care Specialist). She was awarded the Army Achievement Medal in December 2017. CPO Grawehr enlisted in the U.S. Navy in 1987. He is a cryptologic technician chief currently stationed in England and is currently serving as the Defense Courier Service Station superintendent. LT Commander Ruchlin is a Naval Aviator currently assigned to the Pentagon. IT1 (SW/NAC) Linda Wankow retired from the US Navy Reserves on Jan. 1, 2010 after 20 years, two months and 29 days of service. Ten years were served on Active Duty and the remainder on Reserve Duty. She is a Desert Shield and Desert Storm Veteran. She currently resides in Northern Virginia and works as a Contractor. SGT Amin was a volunteer for the Finderne Rescue Squad. He is currently in the United States Marine Corps Reserves and is stationed at Camp Pendleton. LCPL Johnson graduated from Somerset County Vocational and Technical School in 2001. He enlisted in the Marine Corps in 2003 and is currently assigned to the 31st MEU in Japan as a Data Network Specialist. SGT Kinnaman is a volunteer firefighter for the Country Hills Fire Station. He is an Ordnance Technician currently assigned to the 24th MEU out of Cherry Point Marine Corps Air Station and is onboard the USS Iwo-Jima. LCPL Roman graduated from Bridgewater/Raritan High School in 2003. He enlisted in the Marine Corps in 2003 and is currently stationed at Marine Corps Air Station Beaufort, South Carolina.